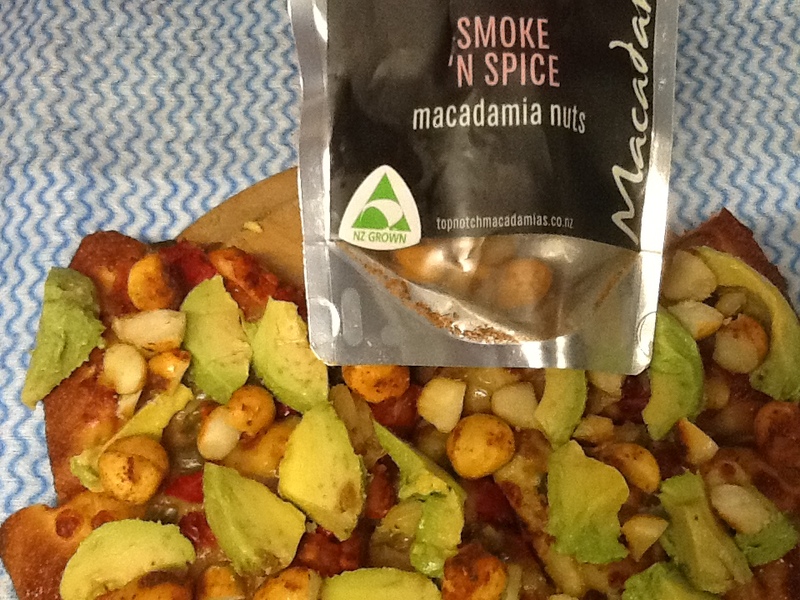 I am a massive fan of both macadamias and spice so I was very keen to try this one. My partner and I tried these out as a movie snack along with a glass of wine. They have a nice aroma to them and a pleasant smokey flavour. I was expecting more heat to them given the spice so I was a little disappointed on that count. While I still liked them I was happy to only have a small handful and found that quite satisfying. My partner definitely enjoyed them more than I did and are now a firm favourite of his. 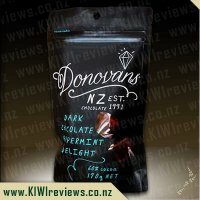 He found them to be very "moreish" and the rest of the packed disappeared quickly rendering the resealable option completely useless! If I had them again, I would possibly try the suggestion of warming them. I don&apos;t usually buy macadamias so I can&apos;t comment on how the price stacks up compared to other products but I personally wouldn&apos;t spend $12.00 for the pack of them, while nice enough, I just didn&apos;t find they packed the punch that I was wanting. My partner on the other hand, as mentioned, loved them and said that he would definitely be buying them in the future. A real mixed review in this house and I&apos;ve based my scoring primarily on my own preferences. I don&apos;t usually go for spicy foods, there aren&apos;t many that I&apos;ll happily eat and I don&apos;t ear macadamias often, but having tried the other two flavours I figured why not? 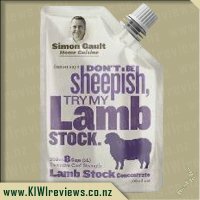 The packaging makes it easy to see exactly what you are getting and the NZ Grown is clear to see, loving that it&apos;s a New Zealand product. The ingredients state that there is hickory smoke, herbs and spices, garlic and onion, salt and of course, the macadamia nuts. There was a large amount of the herbs and spices etc on the bottom of the packet however when you look at the nuts, you can still see plenty on the nuts themselves. I shared these with my mum who devoured half the packet on her own. She found the heat wasn&apos;t too hot, it was just right and that the heat didn&apos;t linger for too long which she says is a really good thing. She also liked the smokey taste to the nuts and she would definitely buy this packet as a treat for herself. I did not enjoy these as much as my mum did, for me there was just a bit too much spice and so it overpowered the rest of the flavours a tad too much. Price wise these work out comparable to plain nuts, so you are getting bang for your buck, however I won&apos;t personally have these again (I sent the little left over out with my mum, something she was more than happy with). Will be buying these again! Was looking forward to trying these as I have been a big fan of flavoured macadamias after trying them in South Australia many years ago. These did not disappoint. Glad to see they were a kiwi product too. The packaging was easy to open (and resealable which was great but we didn&apos;t need on this occasion!). The clear panel gave me a heads up that these were pretty big nuts compared to what I was expecting so halving a good few was necessary. I liked the window and the size of the packet but when I emptied the nuts into a bowl they left a less than ideal amount of flavouring spices stuck to the packet (I wanted to use a bit of something to gather the flavour that was left behind it looked quite yummy). Anyway we used the nuts with some friends as a snack before dinner on the weekend and we all loved them - which meant no leftovers for me. They were the first try of macadamias for one of the guests who were very impressed. I think the flavour might have been a bit mild for those liking a big kick of heat or spice but I loved the depth of flavour which definitely felt smoky. They were definitely a nice wintery taste and I think they would really complement a nice whisky at the end of a night. Next time I think I would probably chop them a bit as they were pretty big pieces and we got through them pretty quick. I will definitely be buying them again though. Opening the packet, the smell of the spices and flavour waft out, enticing you into taking a couple. I adore macadamia nuts as they bring back memories of holidays at my grandparents spent cracking open macadamia nuts from their tree. Popping a couple into my mouth, I let them sit there, savouring the flavour, which is best described as a bbq, smoked, slightly spicy one. I was a little disappointed that there was not more of a kick to the flavour, as I was expecting more to be honest, but depth of flavour aside - the flavour itself, with its combination of spices was absolutely delicious. I would likely describe these as more smokey than spicey. The serving size of these is very generous - and I would definitely struggle to get through the whole bag in one go - as well as that, as they are on the pricey side, would want these to last for 3 or more servings to be honest. I had many ideas of how I was going to use these, but in the end, the temptation was just too much, and they ended up being devoured in the simple way - straight down the hatch. In fact, tonight, when sitting down to complete this review, I thought I would have the last few - much to my dismay, all gone! Hubby had eaten the last ones!!! Next time around I am going to try the suggestion of lightly heating them, as I think that the oils would mix with the flavour, making it more intense. 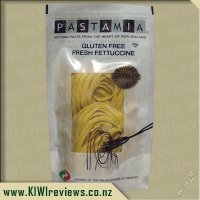 I think these would be great in a salad (not here at the moment in chilly Blenheim) but would make a nice change from pine nuts, or cashews. I can suggest shaking this packet before enjoying, and moving the nuts around, so as to really get the flavour over them all! Enjoy! Right from a young age I have enjoyed the taste of nuts - particularly peanuts and cashews. I had my first taste of macadamia nuts on my first holiday to Australia when I was nearly 10 years of age. I remember that I instantly liked the flavour, and kept pestering my parents to buy more when we ran out. 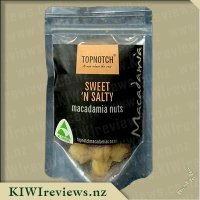 My love of macadamia nuts is still as strong as ever,so I was stoked when I saw the Top Notch range available to review. The fact that Top Notch is a New Zealand brand just made it so much more appealing. The packaging of the Smoke &apos;N&apos; Spice nuts is very simplistic but very eye-catching at the same time. The striking silver packet with the large black label and small clear window make it very clear to see what you are getting. When I opened the packet and peered inside I was pleasantly surprised with the number of nuts. I noticed there were quite a few nuts with large clumps of flavouring stuck to them. The smell coming from the packet was quite unmistakable that it was smoky and spicy. 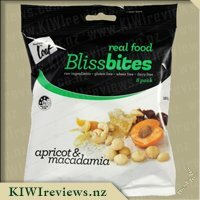 I tried my first macadamia and initially I was not overly sold on them,however after another couple I found that I had developed quite a liking for them and found it hard to stop eating them. I believe that these macadamias would be ideal for a snack while drinking beer and great for entertaining guests. 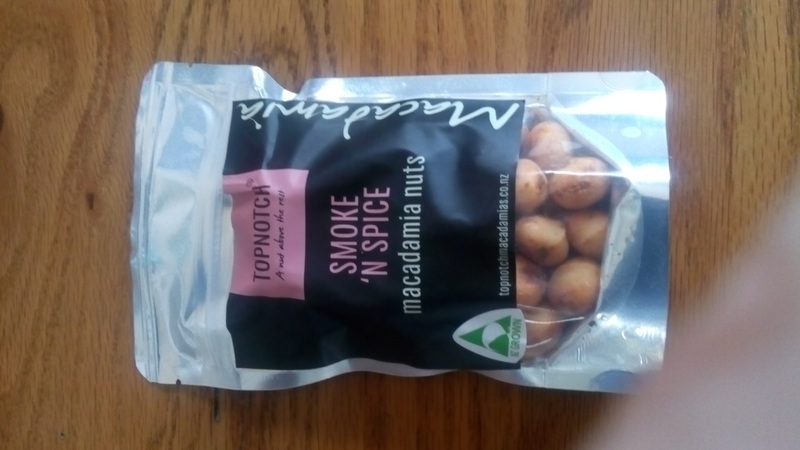 I think that the only thing I would change regarding the Top Notch Smoke N&apos; Spice macadamias, would be that I would like to see the flavouring be more evenly spread out, as I found some nuts didn&apos;t have much and some nearly had too much coated on. I have tried the Roasted Salted and the Sweet &apos;N&apos; Salty macadamia nuts from this brand and I will definitely be purchasing their nuts in the future. 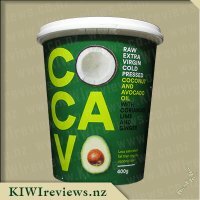 Thank you so much to KIWIreviews for introducing me to an amazing New Zealand company with amazing products! Nuts have always been a favourite snack of mine, but are something I don&apos;t eat too often as I work in a child care centre that is nut free. However, I recently decided I need to start buying nuts again and snack on them in the afternoons when I finish early and over the weekends. Not long after this these nuts were listed as a review product and I decided to send my request in. Luckily for me I received a bag of these Smoke &apos;N Spice in my latest parcel. Top Notch have used the perfect packaging for these nuts. It is simple but effective and I love that there is a wee window at the bottom where you can see what the nuts look like. I don&apos;t like buying products that come in bags where you can&apos;t see what you are getting. Their website is printed very clearly on the packet, along with the flavour of the nuts. On the back is a little nutritional panel with all of the information regarding the nutrition of these nuts. The bag is very easy to open and being resealable is fantastic, as it means I don&apos;t have to dig through the cupboard to find a container to put the remainder of the nuts in it. It will also help to keep the fresher for longer, although you&apos;d need to find a way not to eat them all to test this theory out! Upon opening the packet I was met with the most amazing smokey smell. I knew that my taste buds were in for a treat! Each of the nuts was coated well in the seasoning, enough that each had a good coating without it looking like too much. I love the flavour of macadamia nuts so didn&apos;t want the seasoning to take over completely. When I tried one I was surprised with the spicy flavour that hit my mouth. I certainly couldn&apos;t smell the spice as the smokey smell was far stronger, but when tasting it was almost the other way. The smokey flavour was more subtle than the spice. I did have to reach for the water bottle when the spice really hit, but this is because I am not someone who can handle a lot of spice. The spicey-ness hung around for a little bit before it subsided and I felt like I had to have another nut. So even though they were spicy, I didn&apos;t find them too spicy for me. Anyone who doesn&apos;t like any spice won&apos;t enjoy them though. Reading the panel on the back of the nuts I was really surprised to read that the whole bag was one serve. having said that, if I had kept the bag out and open I probably would have munched through them all over the course of a few hours. But just two or three nuts was plenty. I feel because they have such a strong flavour they are satisfying without needing a lot. And at $12 a bag you really do want to make them last longer than just one serve. If I can get 3 or 4 serves out of one bag I would be happy spending that much. I did happen to have a look at the Top Notch website since it was printed so clearly on the bag. They have some really yummy sounding products and I think I will need to make a purchase at some stage to try some of their other flavours and other products. I like macadamias - hey, I like all nuts! - but this was a new flavour idea for me. I took the packet to my daughter&apos;s house so a few of us could try them as s snack with drinks, and the reaction was variable. I had already tried a couple on the way there and I liked the smoky flavour - it reminded me of a barbecue rub. The spicy aftertaste was less pronounced to my palate, but I like hot food so it would probably suit someone who does not like their food quite so spicy. My son-in-law loved them! He did say that the first nut he ate was a lot spicier than the second, so maybe it is important to shake the packet before opening it so that the coating is evenly distributed. 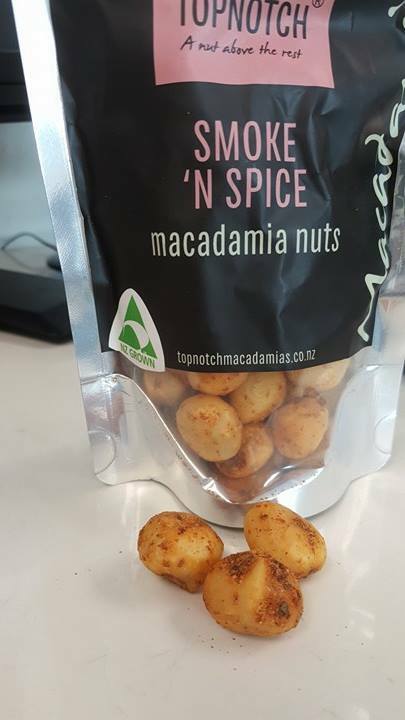 Although he, like me, is a macadamia fan, he said he preferred the spicy version to a plain nut as it enhanced the nut flavour rather than masking it. My daughter liked them too. She does not like her food too highly seasoned but found that these were about right for her taste. One of her suggestions was that they might go well on a pizza with chicken breast or similar in place of the almonds that she would normally use. We were all amazed to see that the recommended serving is one packet - at 150 grams, this is one hefty helping! We all had several nuts yet I had almost half a packet left to take back home! Not only are the nuts very filling, they are also high in salt (with the packet containing one third of the adult recommended daily quantity), so I think six servings per packet might be more realistic. I decided to use the other half of the packet as my daughter had suggested. I had had a frozen pizza for some months - it had a very boring topping which is the reason I had left it in the freezer for so long! I located it, and just before it was completely cooked I put the rest of the macadamias on top and returned them to the oven to heat through. Just before serving I added some sliced avocado. I had invited a work colleague around to collect some items and I was just adding the avocado when he arrived, so of course I asked if he would like to join me for lunch. The result was a unanimous thumbs up; one very basic, boring pizza was instantly transformed into a delicious treat. The spice on the nuts really jazzed up the pizza and added the crunch that had been lacking. He even went home with the now empty nut packet so he could remember to get some for his own family! I have to say that I am usually a bit of a wimp when it comes to hot and spicy foods, so I spent a bit of time humming and haing as to whether or not I should review these nuts, but I can happily say that I am glad that I did so. Though these nuts do have a bit of a kick to them it is not to overpowering that my mouth catches on fire, so I can totally tolerate them. With a very cute and nicely presented packaging that is resealable these bags of nuts really would look &apos;topnotch&apos; if they were to be sitting on a shelf alongside other brands of nuts. 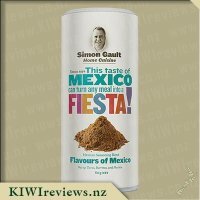 I love the viewing window at the bottom of the packet where you can see the exact product in which you are potentially buying, the colours of the spices are beautiful a mix of brown, black and orange tones which add such a nice colour to the product. I love that these nuts are NZ grown as I prefer to buy NZ products when I can and if price allows me to do so. In my opinion these nuts are more of a smokey flavour rather than a spicey flavour, which in my books is all good. Reading the ingredients list on the back of the packaging I can see that these are hickory smoked, and seasoned with salt, herbs, spices, garlic and onion, I would love to know what herbs and spices these do actually contain as I couldn&apos;t work this out from tasting them. 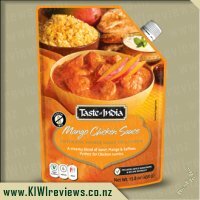 I took these to work for other staff members to try as they are huge macadamia nut fans and they loved them also, they said they weren&apos;t to spicy and one person even said they felt they had an Indian spice to them. We all agreed that we couldn&apos;t eat too many of them at a time, and that the seasoning was somewhat unevenly distributed over the nuts as some nuts had our mouths on fire and some didn&apos;t even make our tongues tingle. Out of all of the nuts which I reviewed these are the only ones I have some left of, just because I can&apos;t eat as many at a time. These have great as a afternoon snack and also as a great addition to salads and stir fries over the past week, they are really easy to either crush or finely chop up which is awesome. I could possibly see myself buying these again however I much prefer the other varieties. 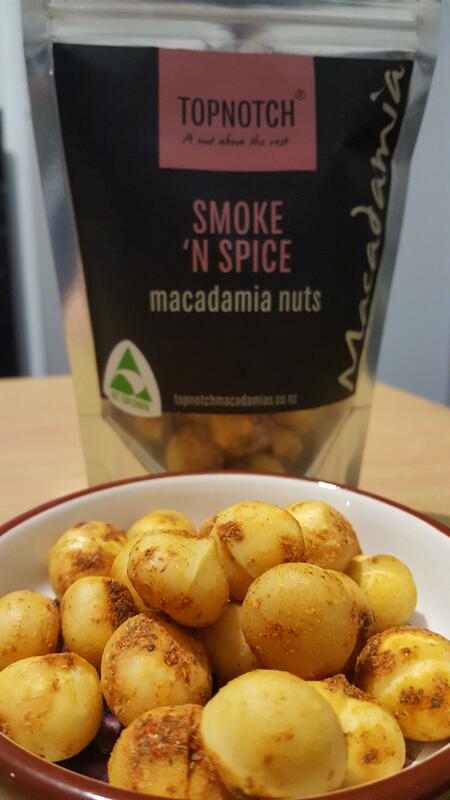 When I first tried these Top Notch Macadamias Smoke &apos;N&apos; Spice I was blown away by the double hit of the smoked sensation hit but also the lovely spicy hit as well. Not to strong and over powering but just enough. 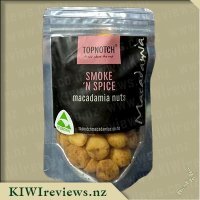 I had mixed reviews with these smoke and spice macadamia nuts as sometimes I really enjoyed the smoked flavour and other times this flavour seemed to be the one I did not crave like the others. I did however like how it was like a savoury hit of yummy little macadamia nuts. I found I could only have one or two of the smoke and spice macadamia nuts at a time rather than a small handful like and other flavours. Which in the long run made the pack last longer and also was a better satisfaction when I craved something after tea time and instead of over indulging I would have one or two and I was satisfied. So long term it would be beneficial healthy eating wise and not snacking to much before bed time. 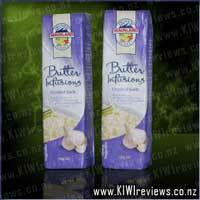 I love the simple yet eye catching packaging which is great with the clear part so you can see the macadamia nuts. The colouring of the nuts with the flavour is great and appealing. These being my least favourite of the 3 flavours I probably would not buy them the same as I would the sweet and salty as those are my all time favourite. I would however recommend to family and friends who I know are into those kind of flavours more so then me and tell them about the great smoked hit you get from the macadamia nuts. 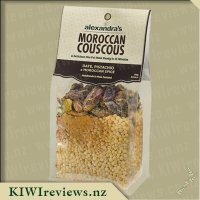 Thinking about it now these smoke and spice macadamia nuts would be yummy crushed up and tossed in a salad for extra flavours and crunch and would go well with feta cheese and haloumi cheese I reckon. I enjoy macadamia nuts, and I enjoy spices. Salami I can eat, but am not the greatest fan of, but hey I thought I&apos;d give it a try. 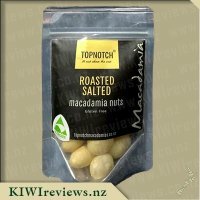 Not sure whether it was chance or not, but on average, the macadamia nuts in this product are smaller than those in the &apos;Roasted Salted&apos; variety. Perhaps it could be to balance value out (less ingredients, so more macadamia? ), or whether its to just increase the flavour overall. Small macadamia nuts, means higher surface area to volume ratio, so having more spices than the salted variety AND being smaller, means you get a double dose of flavour. As far as flavours go, this isn&apos;t bad. You can definitely taste the salami flavour, and the cajun spices are definitely there. In fact if you eat an entire portion (75g) You&apos;re mouth does get a bit of warmth to it. The flavours do overcome the natural macadamia nut taste though, which is kind of a pity. When you&apos;re paying $12 for two portions of nuts, you&apos;d want to enjoy the nutty flavour a bit more. Do I like the flavour? It&apos;s okay. Personally I love chili, so I was hoping for a bit more of a kick from it. When I generally purchase nuts to eat as a snack, I&apos;d simply add salt, garlic powder, and chili powder as my flavourings to add a a savoury taste, with a zing and a kick. Perhaps that will be a future flavour for Topnotch to look into. 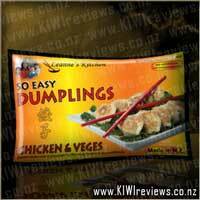 As with the other varieties, it comes in a plastic foil resealable bag, so you can keep the product fresh for longer. Interestingly, this product is very high on the calorie/energy scale, as one portion would add up to over 1100 calories out of my current daily 1200 calorie diet. 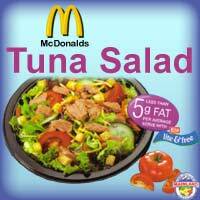 So this product is something that I would recommend taking in moderation. 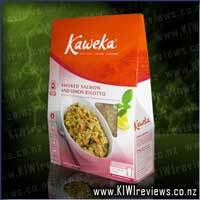 Product reviews for listing 1495: Kaweka - Smoked Salmon and Lemon Risotto - Brand : The Kaweka Food Co.
NEW... complete rice risotto meals, ready to heat'n'eat. New Zealand smoked salmon in a creamy risotto, with lemon and a hint of dill.